An engrossing wartime mystery of past deceptions, family secrets and long-lasting love. 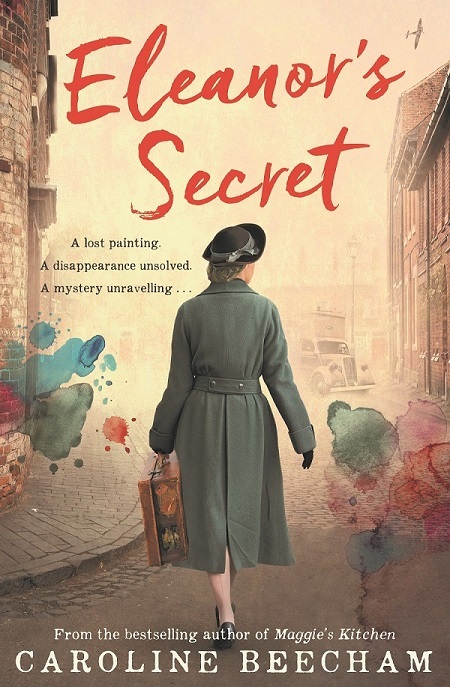 Shifting between a Second World War ravaged London and the present day, Eleanor’s Secret is a surprising mystery and compelling love story. Kathryn can’t refuse when her grandmother, Eleanor, asks her to help find out what happened to the artist, Jack Valante, but when the search uncovers a long-held family secret, Kathryn has to make a choice that will change her family’s future. London, 1942: When art school graduate, Eleanor Roy, is recruited by the War Artists’ Advisory Committee to help their scheme employing artists, she comes one step closer to realising her dream of becoming one of the few female war artists. But breaking into the art establishment proves difficult until she meets painter, Jack Valante, only to be separated by his sudden posting overseas. Melbourne 2010: It’s a difficult time for designer Kathryn to leave Melbourne for London; her husband Christopher rarely puts family before work and her young son Oliver has learning difficulties that demand extra devotion. She has never been away from him but has always shared her grandmother’s passion for art and love of a favourite painting. Now Eleanor is adamant the painting must be returned to its owner, the war artist Jack Valante – and nobody knows if he is still alive. Kathryn’s journey takes her back to Eleanor’s life as a young woman as she uncovers Jack’s missing war diaries and uses new technology to try and solve the puzzle of the missing artist, confronted by Jack’s record of war compared to the depiction of terrors of the present day. But when it becomes evident that Jack’s nephew is trying to stop her finding him, and her concern for Christopher’s care of Oliver deepens, she has to decide whether to return home or risk the dangers to carry on. Follow me on Facebook with news, events and inspirations around my books and projects. It would be great to hear your thoughts on the novel so please leave a review. I would love to hear your thoughts on my book on Goodreads. My interest in the role of war artists grew when I discovered how the fate of many British artists changed dramatically from the outset of the Second World War; with fewer artworks being bought, and less illustrations and lithographs for books and magazines, their livelihoods virtually disappeared. The War Artists’ Advisory Committee was set up with the stated aim to record the war, although it was well known that they were also protecting a generation of artists from the frontline. But amongst the four hundred artists on the scheme only a handful were women, and none that went to work overseas alongside the men. This was a total imbalance compared to other roles that women took on and I imagined there would have been women who wanted to; Eleanor quickly became one of them. The Second World War artworks were very revealing, in particular pictures by Evelyn Dunbar, Laura Knight, Doris Zinkeisen, Edward Ardizzone and Anthony Gross, many of which are on view through the Imperial War Museum. The Portrait Gallery is where the committee met and their archives also provided a wealth of research including the War Pictures by British Artists booklets that are featured in the book. Pinterest was a useful tool to collect images and research material and I came across this picture of an extremely handsome air force officer who turned out to be quite a strong influence . . .
serving with the RAF, 1942, by Eric Kennington. As well as viewing Second World War art, background reading and referencing original artist war diaries, I also visited the locations that were important settings for the book, such as the National Portrait Gallery, the Imperial War Museum, the British Library. And also the physical locations in London that the characters inhabit: the bustling streets of Piccadilly, Paddington and Bayswater where I also once lived. But Interviewing artists was key to understanding how Eleanor and Jack might have thought and worked and I was grateful to be able to talk to some contemporary artists who have worked as war artists more recently: Wendy Sharpe, Josh Yeldham and British Military artist David Rowlands. Australian artists Bronwyn Woodley and Dean Cross also talked generously about method, process and more generally, providing a great insight for a non-artist as well as specialist knowledge that helped build my characters.